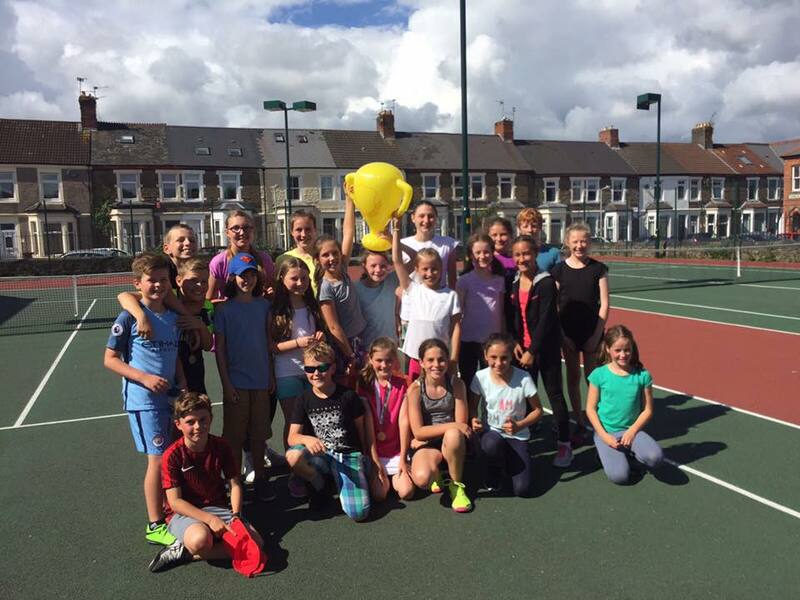 Recently named Tennis Wales Club of the Year 2017, Mackintosh LTC are providing opportunities for children and adults to get involved with tennis during the school holidays. 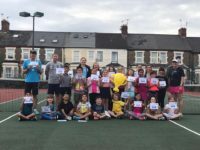 The Summer Holiday Tennis Camps are designed for the children to keep fit, have fun, improve their tennis skills and make new friends. With our enthusiastic team of qualified coaches your children are guaranteed an amazing experience. 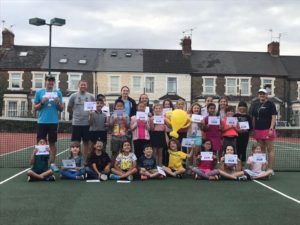 If you have any questions regarding the Summer Holiday Tennis Camps, please contact Rhys Morgan on 07929 264165 or at tenniscoach@mackintoshsportsclub.org. For children aged 4-8 years we will be running Mini Red sessions every morning 10-11am. 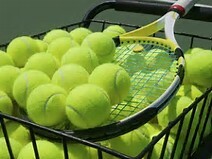 For the children aged 8+ there is an all day tennis camp running from 11am-4pm. The 2018 Mixed Singles Handicap Competition starts from Friday 23rd February, with the final taking place on Saturday 24th March at 3pm. 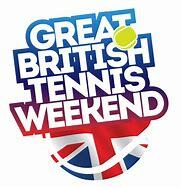 On Saturday 12th May we will be hosting a Great British Tennis Weekend event at Mackintosh LTC. The event will run from 3-6pm and will include an afternoon of fun-filled tennis activities for all members of the family. Mackintosh LTC was recently named Tennis Wales Club of the Year for 2017 and looks forward to welcoming new faces to the club. On the day, there will be an opportunity to take part in taster sessions including Tots Tennis, Mini Tennis, Junior Tennis, Tennis Xpress, Cardio Tennis, plus much more. Are you looking for an activity to keep your children busy during the school holidays? 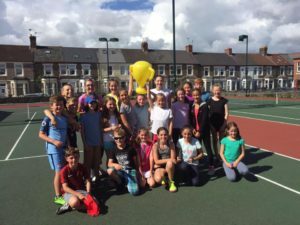 Our holiday tennis camps are a fantastic way for your children to keep fit, have fun, improve their tennis and make new friends. 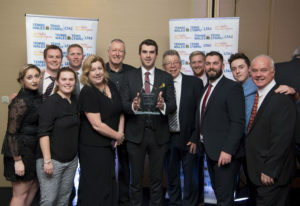 We are extremely proud to announce that in the recent Tennis Wales Awards evening, we have been named Tennis Wales Club of the Year for 2017!! We would like to thank all of our members and everyone involved with the club for your fantastic support, which has helped us achieve this award. Started an outreach programme at a local park site to provide more opportunities for people in the community to play tennis. A number of successful social events bringing members together at the club, including family quiz nights, Halloween party and Golf Day. If you are interested to get involved with the club further details on becoming a member can be found by clicking here. Are you keen to learn to play a new sport or looking to take your tennis to the next level? 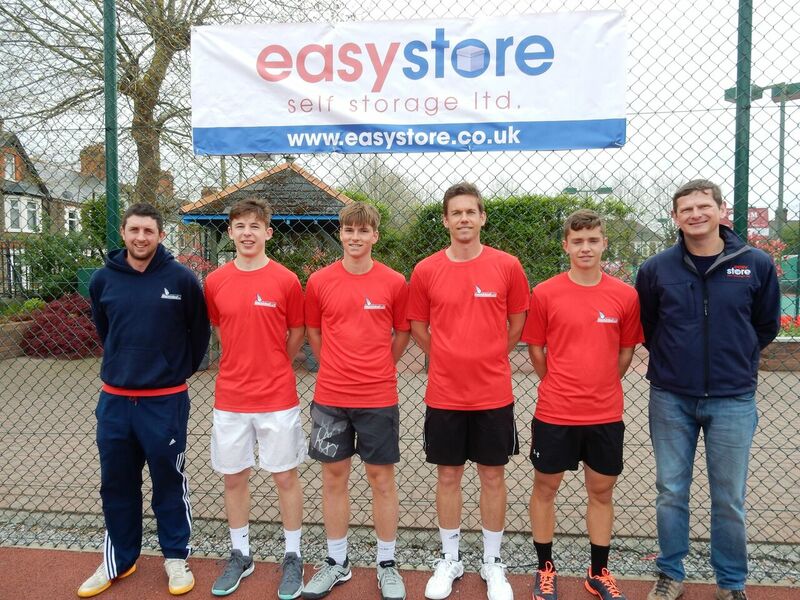 Our Adults Coaching caters for players of all standards from players picking up a racket for the first time, to players representing the club in team tennis. To ensure everyone is given the best opportunity to improve, players are grouped with others of similar level of experience. Autumn Term Adults Coaching will run every Monday 7-8:30pm – starting on Monday 11th September. Please note – there are only a limited number of places available on this course. To guarantee your place and avoid disappointment, please book now. To book a place, please download the form below and return to Rhys Morgan (Head Coach) along with payment. This Summer we are excited to run our first ever Adults Summer Tennis Camp. The Summer Camp will run from Monday 14th August to Friday 18th August 7-8:30pm every evening. The Tennis Camp is aimed at adults of all ages and abilities from complete beginners up to team players. Players will be grouped with others of a similar standard. For beginners, this is an ideal opportunity to get started and learn the basics. For more advanced players, this will be a great opportunity to improve and take your tennis to the next level. Only a limited number of places available – please book now to avoid disappointment.